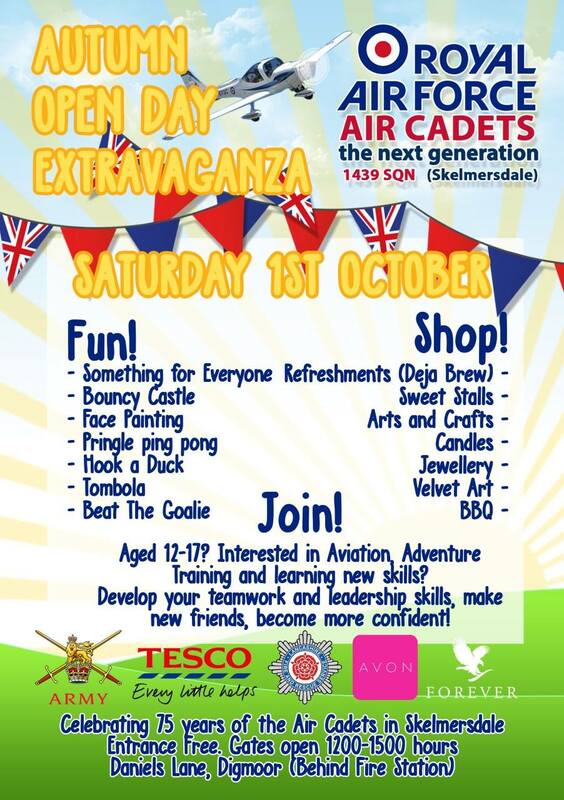 Skelmersdale Air Cadets are holding an Autumn Open Day on Saturday 1st October, 2016. The Open Days is taking place to celebrate 75 years of the Air Cadets in Skelmersdale and will be open from 12 noon until 3pm. The Open Day is taking place in Daniels Lane, Digmoor, Skelmersdale, behind the Fire Station. There will be stalls and activities to take part in, so why not go along and help support and celebrate the Skelmersdale Air Cadets.